Daniel Preston Dozier - Mediator & Arbitrator based in Bethesda, Maryland. Dan Dozier is an internationally-recognized pioneer in conflict management and collaborative decision-making, with nearly 40 years of experience as an attorney, negotiator, and mediator, including 25 years as a mediator and facilitator of complex multi-party environmental and public policy, employment, contract and commercial disputes. He has been appointed by United States District Courts throughout the United States to mediate complex environmental cases and is listed on numerous rosters of neutrals. Mr. Dozier is a member of the law firm of Press, & Dozier, LLC. His practice is focused on providing the full range of Alternative Dispute Resolution (ADR) services including mediation, facilitation, arbitration and stakeholder consultation services. Mr. Dozier has facilitated policy dialogues and negotiated rulemaking proceedings between representatives of federal, state, local government, environmental, community, industrial, and trade association groups. 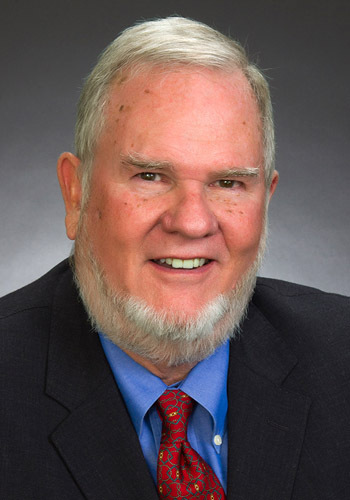 Mr. Dozier is an expert in CERCLA and RCRA hazardous waste matters, having mediated hazardous waste issues for groups of responsible parties around the nation. He has designed allocation procedures, managed the construction of large waste-in databases, mediated database and other records disputes, drafted non-binding allocation of responsibility for cleanup costs, and mediated settlement negotiations at more than three dozen sites around the nation. Mr. Dozier has served as an expert witness on cost allocation issues for parties at three sites, the Waste, Inc. site in Indiana, the Pennsauken Landfill in New Jersey, as an expert for the Court at the Stringfellow site in California and as an expert regarding allocation of costs among lease owners at the Macondo project oil well spill in the Gulf of Mexico. Prior to joining Press & Dozier, LLC, Mr. Dozier served as manager of the Washington, DC office of CDR Associates, a leading conflict management and mediation firm that provides alternative dispute resolution services to parties around the world. From 1989 to 2000, Mr. Dozier was an adjunct professor at the Vermont Law School and has also been a guest lecturer at numerous Universities and Law Schools including the Universidad de Buenos Aires y Foro International de Administracion Conflictos (FIAR), Buenos Aires, Argentina, and Georgetown University Law School in Washington, DC. From 1979 to 1988, Mr. Dozier served as the chief legal official for the Federal Mediation and Conciliation Service (FMCS). During his tenure at the FMCS, he mediated two negotiated rulemaking cases, one for the Environmental Protection Agency and one for the Department of Education, and served as the Liaison Member to the Administrative Conference of the United States, where he participated in the drafting of several Conference recommendations regarding the use of alternative methods of resolving disputes involving Federal agencies or programs. Mr. Dozier is profiled in Expert Mediators by Jean Poitras and Susan Raines and published by Jason Aronson. Former Member of the Council of the ADR Section of the Maryland State Bar Association. Member, Board of Directors, Friend's Non-Profit Housing Corporation, Inc., owner and operator of Friendly Gardens, an 84 unit low-income apartment complex in Silver Spring, Maryland. Public Member, Montgomery County Water Quality Advisory Group, appointed by the County Executive for a three year term ending in 2015. $425 per hour. Travel Costs.